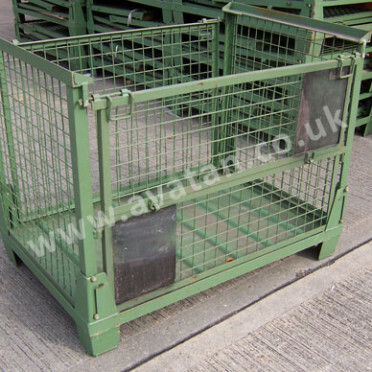 Fully collapsible ‘Euro’ style cage pallet with corrugated sheet steel base and hinging mesh sides. 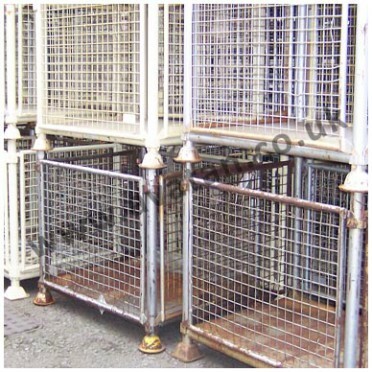 Fitted with a half drop gate on one long side. 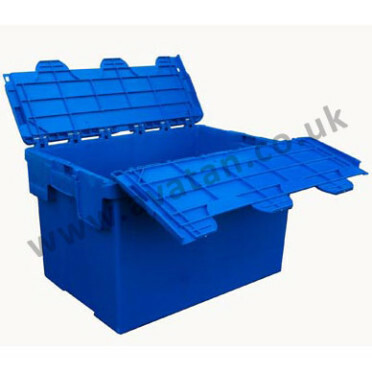 All sides hinged to the base folding flat for empty storage and transportation. Current stocks in very good, used condition. Generally available new and second hand, for sale or hire. Occasionally ex rental units offered for sale. Please ask for details. 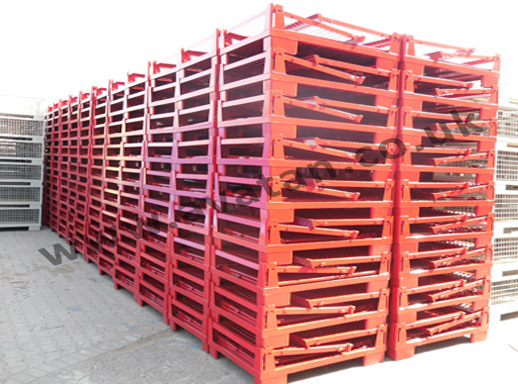 Please also see SHC90 Rigid Euro cage pallets. Also available for hire. 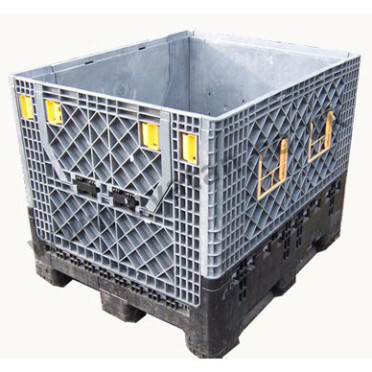 We are constantly on the lookout for stocks of second hand Euro style cage pallets and Gitterbox pallets. 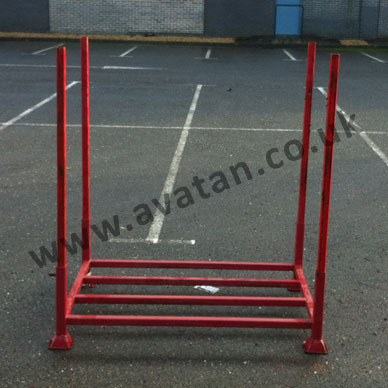 If you have redundant storage equipment and wish to sell these stocks, please contact Avatan.